What is the difference, Hardscapes and Landscapes? Our staff at Sarasota Landscaping Services believes it's important that our customers understand the difference between landscaping and hardscaping. Compared to landscaping, which typically refers to as grass, flower beds, vegetable gardens, soil, mulch, and other living aspects of your lawn, hardscape is the opposite: nonliving. Examples of hardscape include stone patios, stairs, fountains, rock walls, and fire pits. 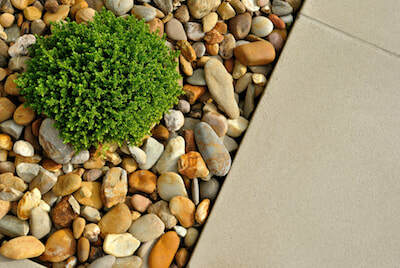 Basically, your hardscape is everything that surrounds your landscaping and adds an additional decor factor. The great thing about hardscape is that you have pretty much unlimited options for what you can do with it. Not to mention, hardscaping can greatly increase your overall property value. Depending on your preferences, you may be interested in expanding on your outdoor entertainment area, installing some rock features throughout your garden, or even putting in a brand new stone sitting area. Regardless of what you want, our team is ready and willing to help you make your dreams come true. We will not only assist with the landscaping side of things, but we can help you design the perfect layout for your hardscape. With so many options when it comes to bricks, stones and gravel, along with other choices for patio design, brick patterns and more, we know it can seem like a daunting task; however, you should know that it is worth the time, effort and money spent. Unlike a vegetable garden or flower garden, hardscape features require almost no upkeep. So while it’ll take some effort upfront, you’ll be back to sit back, relax and enjoy once it’s completed. Additionally, as we mentioned, you can actually increase your curb appeal and property value with some addition of hardscaping. It is an investment upfront, but it is definitely an investment that delivers long-term benefits. In today’s real estate market, potential buyers are searching for homes with multiple entertainment areas, including those which are outdoors. Not to mention, having excellent curb appeal is one of the most proven ways to help sell a home. If you have a beautiful landscape paired with a well-designed, well-constructed hardscape, you can’t lose. In addition to the monetary benefits, hardscaping can help to protect from property from environmental damages like erosion. It helps to maintain and strengthen the structure of your landscaping. 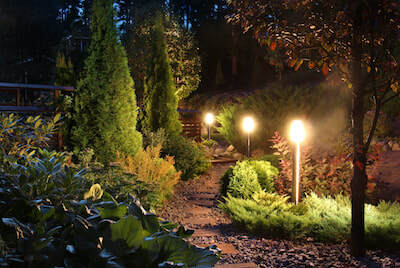 From the visual, environmental, and financial benefits, to the fact that you’ll be able to enjoy new scenery in your own backyard, the decision to invest in hardscaping is one that many homeowners and business owners make. So, have we peaked your curiosity yet? Could you see a new outdoor kitchen or stone fit pit installed in your backyard? If so, we encourage you to reach out to our team at Sarasota Landscaping Services to learn more. Our staff is happy to walk you through the many, many options for hardscaping, and how we can help weave that into your long-term care plan for your landscape. Not only that, but we’ll show you some past examples from happy clients who partnered with us to transform their outdoor space into something they thought might never be possible.